The GT-R;s original equipment (OE) brake discs just dont have the staying power when pushed to the limits. Premature brake disc cracking is something no one wants to see after a day of fun. It didnt take long for many to realize this is one of the few areas of weakness in an otherwise incredible car. 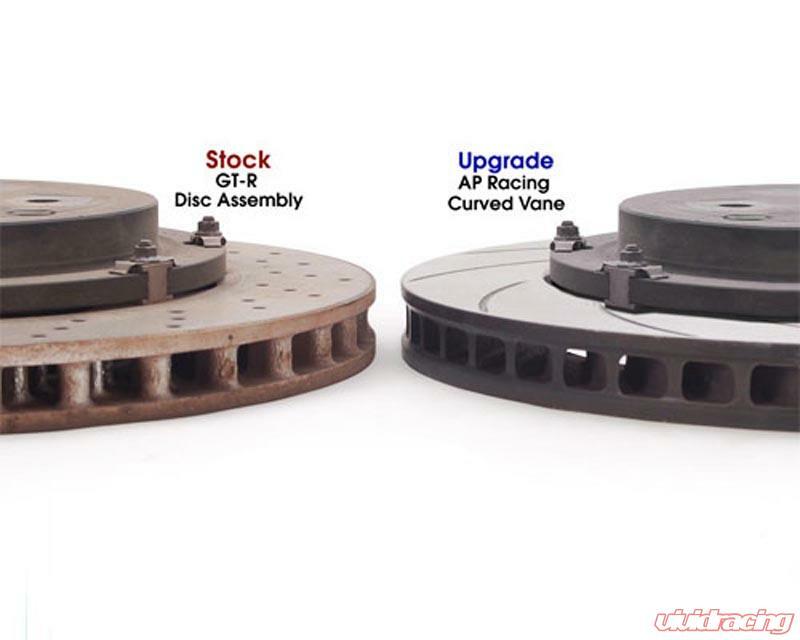 Quickly responding to customer demand, Vivid Racing is now offering AP Racing upgraded discs that mount straight onto the OE brake hats. 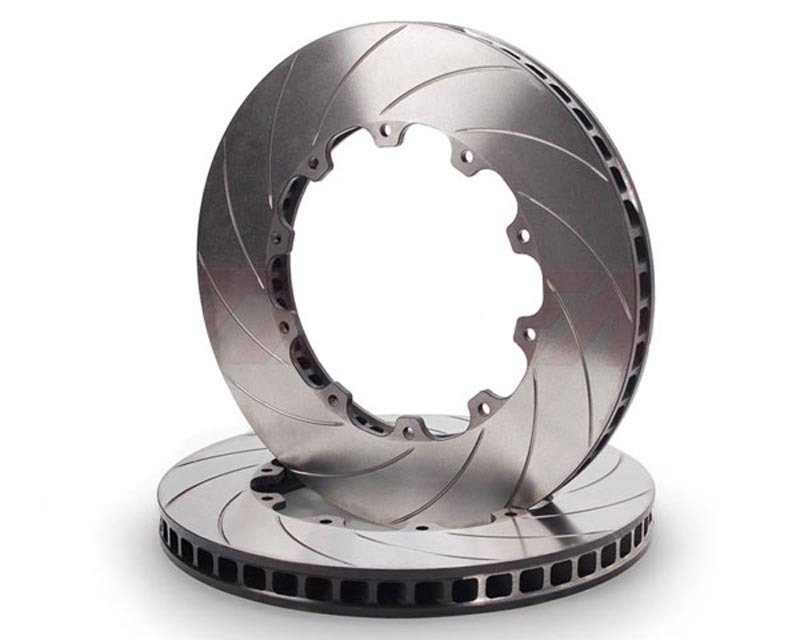 These discs have been track proven (Nurburgring, Silverstone and more) on GT-R;s in extreme conditions by professional drivers. They not only lasted much longer without cracking, several drivers reported improved brake pedal feel and easier pedal modulation. The best thing is that these upgraded discs cost even less than standard factory replacements. Top quality, proprietary iron alloy with multi-stage thermal processing. 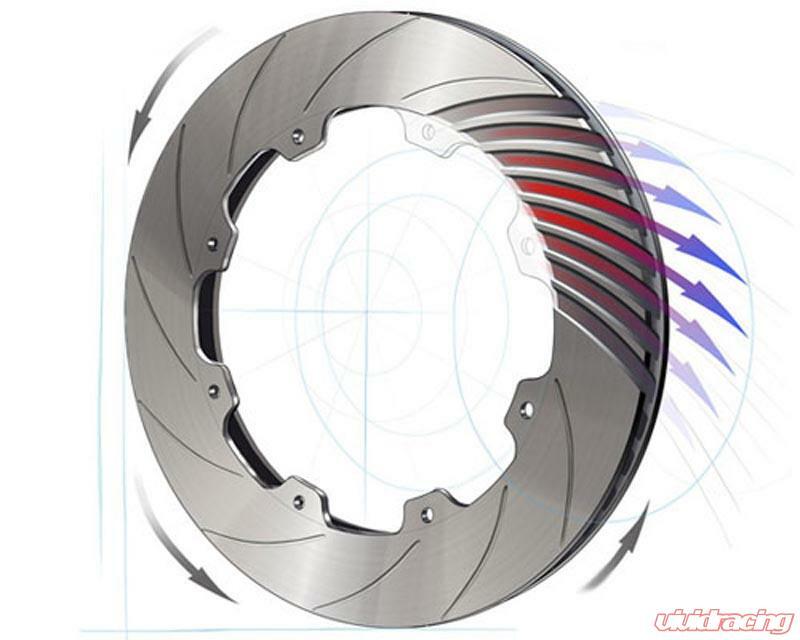 Curved-vane core (48 vanes) for better thermal management under extreme use. More expensive to make, but improved cooling over the OE pillar vane design. 12 curved slots (not drilled!) to improve pad bite and resist cracking under severe use. Precisely balanced at high RPM for smooth operation at any vehicle speed. Friction faces finished on the latest generation twin-turning equipment, better DTV (Disc Thickness Variation) and less runout than typical double-disc grinding machines. Includes fresh hardware for track-day confidence every day. Added bonus: Even priced less than the standard OE discs! 2 piece Rotors are sold as a pair and include hardware.